This article on LinkedIn has been rewritten. First published on Birds on the Blog. Anyone working or not working should have a profile on LinkedIn. True or False? Certainly if you are a current job seeker you need to have a profile on LinkedIn and you need to be using the site appropriately. LinkedIn is where companies want to be when they are hiring and where job seekers should be when they are job searching. If you are actively job searching then you need to think of all the preparations you have made already, your CV, personal presentation and research and ensure that it is translated and uploaded correctly to your LinkedIn profile. You need to present yourself positively to both prospective employers and networking contacts. 2. Ensure that your CV and work history are achievement focused, complete and include relevant key words and skills. 4. Position your current role. 6. Use the Answers section to pose or respond to relevant questions within your field of expertise. 7. Join Groups, and participate in them. Chose groups not only for their professional value but also the locality. Contributions and comments are all useful. 8. Build your Network [appropriately] as the more connections you have the more opportunities are available. 9. Search Jobs and Companies for opportunities as well as researching who is hiring and where people are moving to and from. It is easy to trace career histories with LinkedIn so use the facility and your connections wisely. 10. Stay Connected. Having a strong network helps at all times, it can be as comforting as job security. 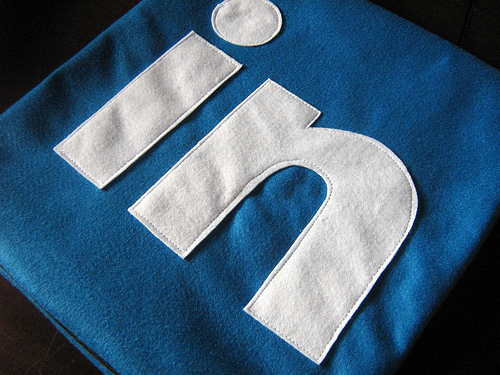 Make sure you really are open to opportunities and use LinkedIn.